Find a used or new car for sale on UAE Carmarket. With the largest range of second hand and new cars from Dubai. Check out photos and prices from all over Dubai, UAE and find the right car for you at http://www.uaecarmarket.com . 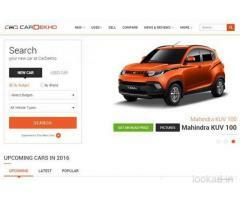 Cars Hyderabad (Andhra Pradesh) December 5, 2017 8.00 Rs.